About seven years ago God put it upon J.R.'s heart to reach beyond the community of Haughville and "adopt" a town. A town where poverty is abundant. He prayed about it and God reveled to him - Hazard, Kentucky. 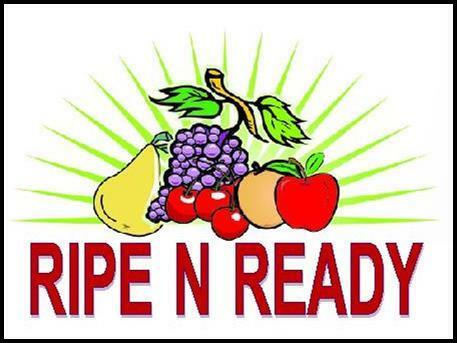 We partnered with Consolidated Baptist Church and began preparations for our first trip in June 2011. 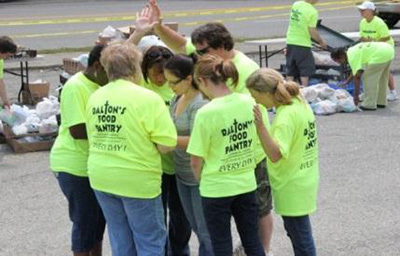 A small group of volunteers packed up large amounts of food, clothing, and other necessary items and headed off to a place where God directed. We didn't know anyone; we just wanted to be the hands and feet of Jesus. 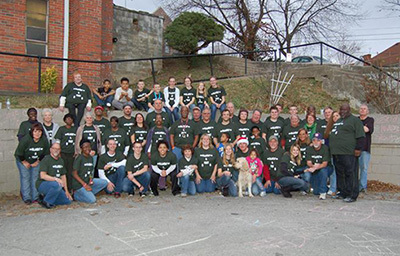 That trip was successful and a second mission trip was planned for December 2011. A few more volunteers joined us this time and the blessings of creating relationships, helping those in need and encouraging people unfolded. We felt the presence of God's approval. 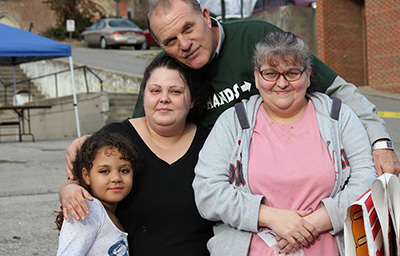 Each trip to Hazard, Kentucky is unique in that there are so many hurting souls, each with their own story, but with the hope through Christ that we provide, people are given joy and strength. Although the individual stories are different, they are all the same: depression, homeless, job loss, hopelessness, medical and dental needs and desperation. 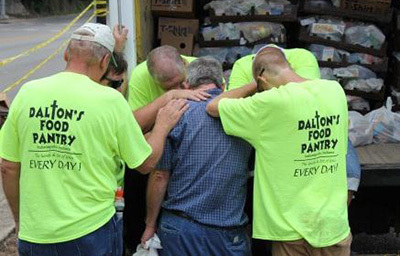 Our job is to give hope to the hopeless, joy to the depressed, and comfort to those without a job. We do this with prayer and a genuine love for each person. 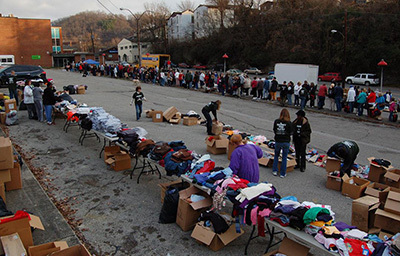 Typically we serve over 500 families when we travel to Hazard and June 2012 was no different. 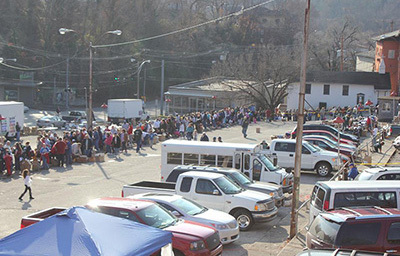 The line stretched down the sidewalk in front of the church, around the corner and well up the mountain. The mother and son at the front of the line said they had been there since 3:30 am. 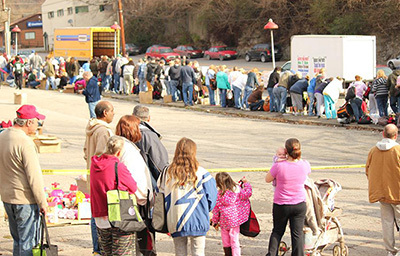 Anticipation grew as the trucks were emptied - food, clothes, toys, furniture and other needs were unloaded, enough for everyone in line. 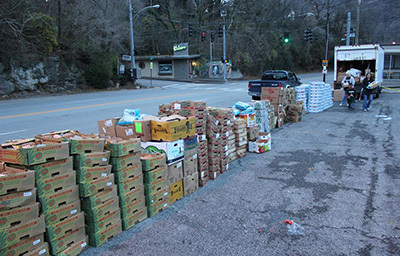 At the end of the day it was much like the story of Jesus feeding the 5,000. Everyone received what they needed and there was an abundance left over. Our final trip to Hazard was in December 2012. It was bittersweet as we left that day. As the Chinese proverb says, "Give a man a fish and you feed him for a day. Teach a man to fish and you feed him for a lifetime." 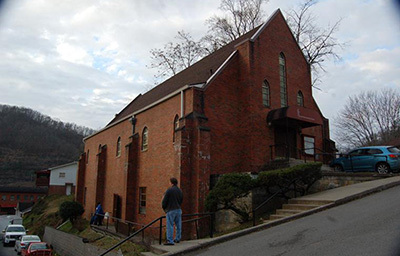 We are grateful that we have helped them become the hands and feet of Jesus in Hazard, Kentucky. We didn't go on any "missions trips" in 2013. 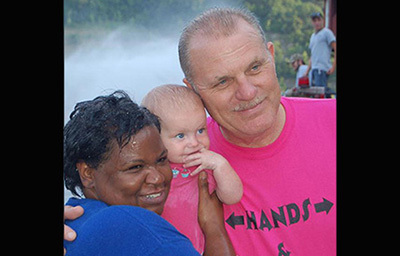 Mid summer of 2014, God laid it on J.R.'s heart to travel to Inez, Kentucky. We called the team together and presented our next trip. Immediately, 36 people were ready to go! We packed up three trucks, along with several pick ups and cars and were on our way within 30 days. This trip had some hurdles to overcome, however we did and it was a successful trip! Many, many families were blessed that August morning. Many thought this blessing was too good to be true! We assured them it was all for FREE and it was from God! The rain poured on us and those in line that day, however we didn't let that stop us. Once we got everything set up, circled up and sang praise to our Lord, the clouds broke open, the rain stopped and the sun came out! We serve an on time God! We are currently praying, asking God for His direction in our next endeavor.